The perfect recipe for a lively literary adventure across Upstate New York's Niagara Wine Trail! 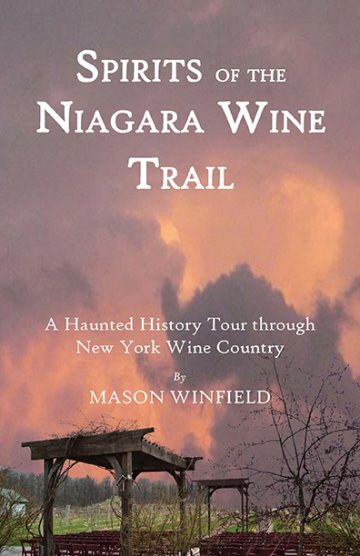 The unique book from Western New York's supernatural historian Mason Winfield offers a new kind of wine trail journey that highlights the area's folkloric and paranormal legacy. Haunted rivers, ridges, rails, and trails frame many of the region's prominent wineries, and Native American tradition underlies them all. As readers meet phantom ships, famous specters, and War of 1812 legends, they peer behind the scenes into the art and craft of winemaking and unearth nuggets of regional history and character. Like a fine vintage, these riveting stories get better with savoring.